Item Code: Features:oated ultra-light weight sublimation paper for digital transfer printing with water-based dye sub inks. To maximize print efficiency, SKYIMAGE® has launched sublimation transfer paper with 45gsm/60gsm, this type paper is ideal for high speed indusrial printers like MS Italy and Reggiani printers, very economical and complement the weakness of other brand transfer paper. the weakness of other brand transfer paper. Advantages Significantly reduced transfer times and/or temperatures. Designed to save time and money in industrial production processes. Excellent drying, even at 250% ink limit. Max. resolution: 720x720 dpi, bidirectional. *Home Internal: Curtain, Blind, Cushion, Table Cover, Towel Cleaner, etc. 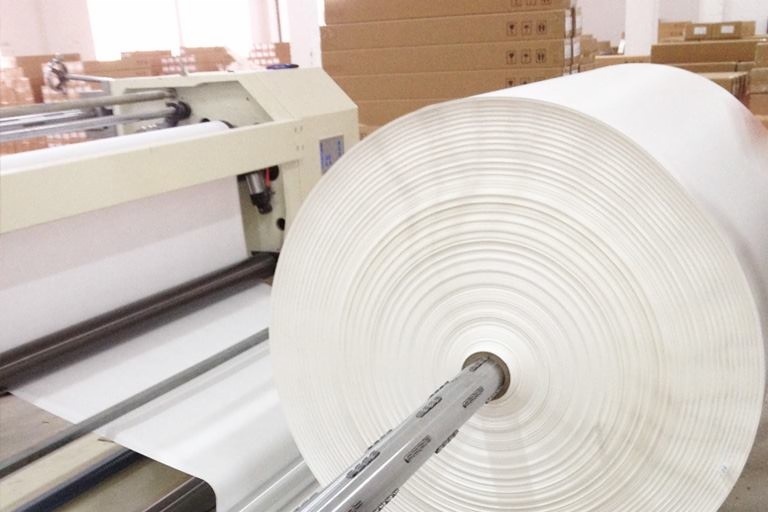 Korea Formula 70gsm 36inch Sublimation Jumbo Roll Transfer Paper for Garments Printing with High Speed Digital Printer Reggiani： 1.Good Anti-wrap performance 2.Flying printing without wrinkle 3.Up to 95% transfer rate. 4.Quick ink absorbing, dry quickly. The light-weight sublimation paper is designed to save time and money by increasing process efficiency in industrial textile printing. Transfer times and/or temperatures can be reduced significantly and still achieve the same vibrant colours any SKYIMAGE®product is standing for. Especially suited for industrial printers(e.g. MS Italy, Mimaki TS500 and Reggiani printers) . 60gsm incredibly light weight and thin but it does not cockle and dries quickly without the need for external dryers. The light weight construction also allows to roll over 3940 feet of paper on a single roll that will fit on a printers regular feeding and take up systems without the need of expensive equipment to move the rolls or feed the paper to the printer. Using sublimation ink to print the pictures on the sublimation paper,then put it into clame press machine or mug press machine to transfer.It can be used for light color chemical fiber T-shirt,Jigsaw puzzle,mouse pad,pillow cover,metal key chain,mugs,plates and so on. 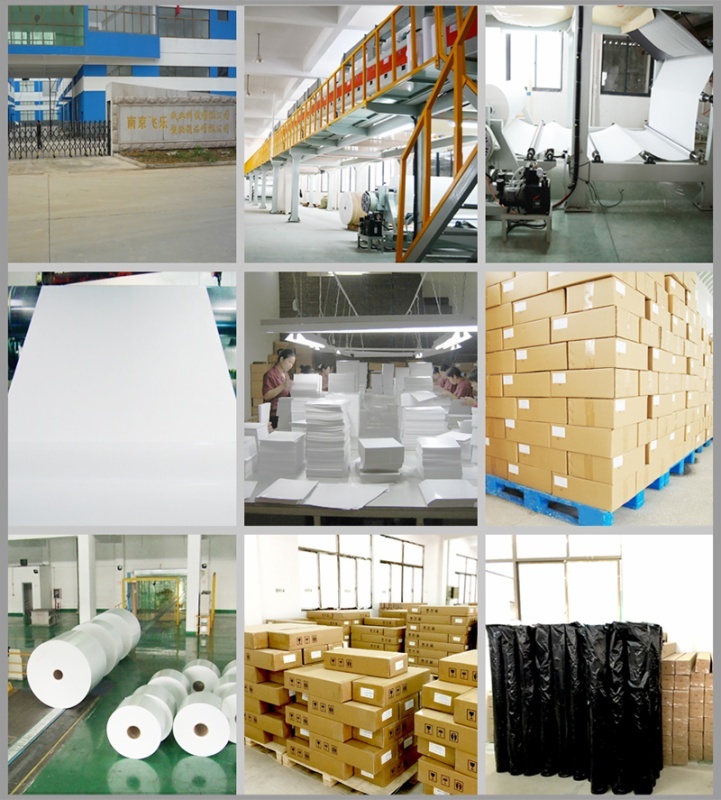 About storage: In order to protect unused sublimation paper, it is recommended to store it in its original packaging, in the poly bag at 68°F -82°F( 20°C -28°C) and 40-60% RH. About printing: Image side is wound to the outside of the paper. Printing is performed in ″mirror″ image. Allow the printing ink to dry before transferring.
.*Print by Sublimation ink. .*Print image by printer with piezo printhead like Epson printer. .*Sublimation paper is widely used for fiber cloth, ceramic mugs and plates, metal sheet,garment, bedsheet ,curtain,bed cover,sofa etc.Could not use on the 100% pure cotton textile.